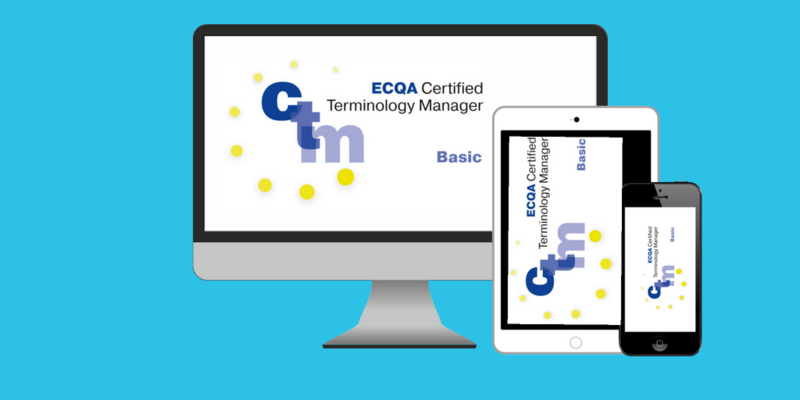 This course prepares you to sit the exams to qualify as ECQA® Certified Terminology Manager_basic level. 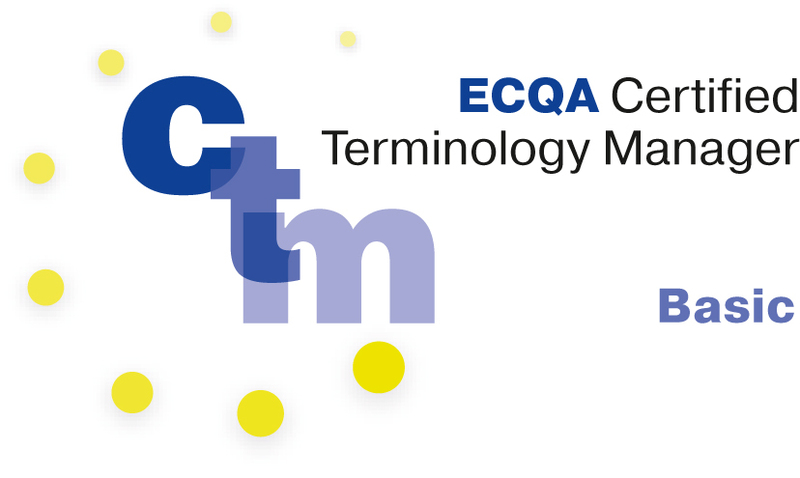 This file contains the skills and competences of an ECQA Certified Terminology Manager_basic level. This is the international "driving licence" for professionals dealing with terminology. LANGUAGE INDUSTRY PROFESSIONALS: Translators, interpreters, localizers, technical writers, etc. INFORMATION & COMMUNICATION PROFESSIONALS: ICT experts, information and knowledge managers, etc. EXPERTS IN CLASSIFICATION & CATEGORIZATION: e-Business, Semantic Web, libraries and archives, etc. 747 EUR excluding 20% VAT. This online course comprises 6 skill units - 5 theoretical units and 1 practical unit based on exercises. discussion forum posts for questions and answers (Q&As). Live or recorded webinars will be given by renowned experts for every unit, and recordings will be uploaded at the Moodle platform afterwards. Learners will go through the learning materials and the recordings of live webinars at their own pace, and will be coached for the practical exercises. I wanted to thank you all for your wonderful training. It has been extremely instructive and helpful, not only at a professional level, but also at a personal level. I have to say that, even if this time the course was online, I have felt fully involved in the training. The coordination has been wonderful too. I really enjoyed the experience and indeed learned a lot about terminology management. Also, the material is very good. Maybe for the future it would be a good idea to create a corpus out of this. I learned a lot in your course, and I could enlarge my professional network. In addition, the certification strengthens the position of the terminologist in the company. Now it is much more difficult for people to argue that terminology is just a sideline, and can be done with no sweat.